These sizable Vegan Easter eggs are individually hand-made of high quality single origin 75% Tanzanian dark chocolate. 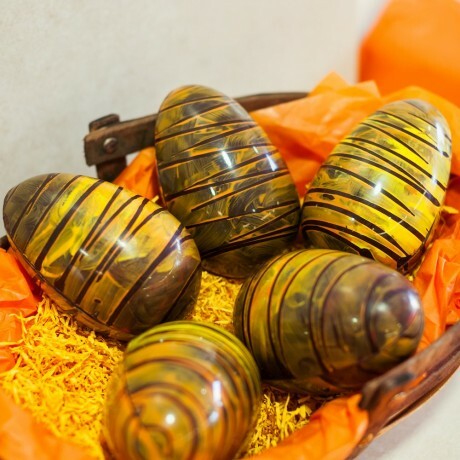 They are beautifully decorated with patterns and colours that suit your Easter celebration. 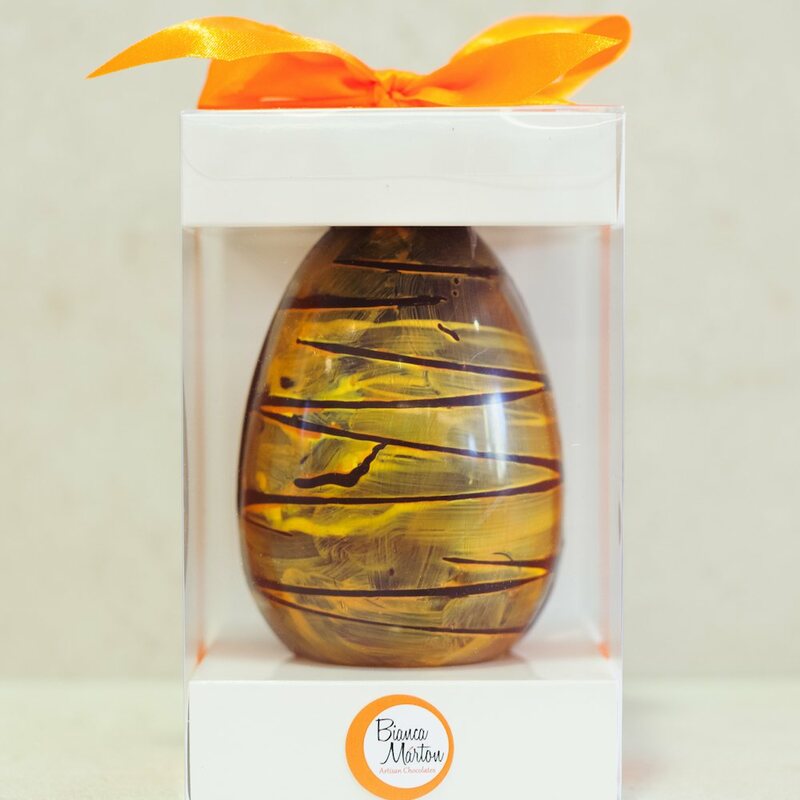 They come in a decorative box that will make your gift egg stand out. Our best selling praline filled mini Easter eggs that you may order together with this egg using the option on the right hand side will complement your present beautifully. These Easter eggs are individually made, no two are identical. There will be slight differences in the patterns and shades of colour. We use a small amount of edible food paint dissolved in cocoa butter to create the decorative finish. Cocoa butter is a native ingredient of chocolate, and contains no dairy. Dairy free, suitable for Vegans. 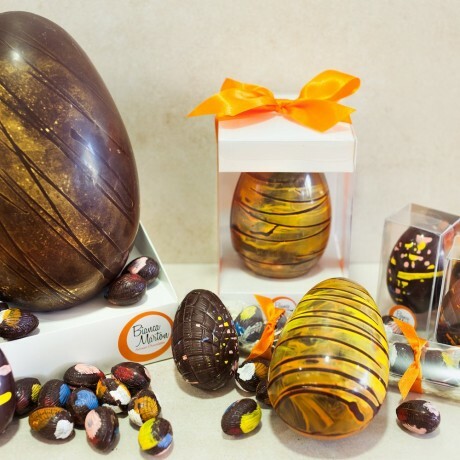 The mini Easter eggs that may be ordered together with this Easter egg contain nuts. The large Easter eggs do not contain any no allergens. The mini Easter eggs contain nuts and soya.